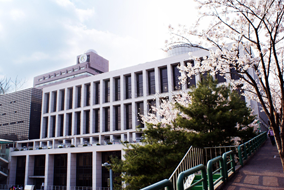 The history of Sungkyunkwan University can be traced back to 1398, as the first public higher education institution establish during the Joseon Dynasty (AD1392 - AD1910); since then, the school has been around for over 600 years. In 1946, the university was reincorporated as a private institution, and it had become the nation’s first-rate higher education, cultivating numerous highly talented professionals for the country each year. Especially, with Samsung Group as the main sponsor since 1996, the school has began pushing forward for a long-term development strategy, “Hope 2010,” in which the project has gone through the “reformation” period, and now into its "leaping” period, with making the school a world-renowned university as its goal.